As we get going on yet another fantastic Reading & Leeds weekend, we thought we’d look back at some classic sets from the festivals’ history. Feel free to share your own memories via social media. This is the quintessential Nirvana performance. Pushed on in a wheelchair, clad in a blonde wig and hospital overalls, Kurt confounded rumours of a drug-induced no-show before later delivering a ferocious rendition of ‘Smells Like Teen Spirit’. In a gig that saw bassist Nicky Wire hospitalise a security guard with a misplaced fling of his bass guitar, the Manics were on righteous form. Hostile throughout, they continually baited the audience before ripping through a closing salvo of early singles ‘Motown Junk’ and ‘You Love Us’. The moment Radiohead first made haste for the stratosphere. Appearing in a mid-afternoon slot, prior to ‘The Bends’’ release, Thom Yorke and co delivered the first blast of their remarkable new material, including ‘Just’, ‘The Bends’ and ‘My Iron Lung’. With the Britpop bubble close to bursting, Suede delivered a headline set bristling with defiant energy. Having displayed a similar ferocity in their recent reunion performances, surely the time is right for a permanent return to the Reading & Leeds fold? Just six weeks before their initial split, Rage brought a mud-soaked Reading to its collective knees. This furious rendition of ‘Guerilla Radio’ was the highlight of a set that left all but the band battered and bruised, but completely in awe. During this performance, Harvey delivered a typically lusty barrage of her Y-Chromosomed Nick Cave, blues/goth shtick – demonstrating her ability to enthral and baffle in equal measure. Clad in a, shall we say, ‘brave’ outfit, Polly Jean delivered one of the most brilliantly confrontational Reading sets to date. Regardless of just who accompanies Josh Homme musically, rock’s coolest ginger can still pack a meaty live punch. This mammoth performance finds the frontman at his most brilliantly unhinged. Matt Bellamy refused to believe his band had “made it” until they headlined Reading. In 2006 they finally did so, unleashing their most spectacularly bombastic live show yet. Can’t wait for the Canadians’ long-awaited return? Then feast your eyes on this soaring set closer from their festival-stealing performance in 2007. So good that not even the Red Hot Chili Peppers’ stroppy and lifeless headline set could trample on the memories. Hardly a technically flawless performance. 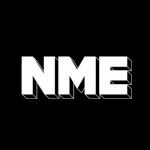 Yet the crazed bopping of a sweaty teen throng and the inescapable sense of the zeitgeist being grabbed mean that the bulging NME Stage witnessed a classic moment.